Excellent trainer and nice arrangements. Certified Scrum Developer Certification in Pune is one of the most sought after courses for people who have technical knowledge in various fields. This city which makes the most of its educational affiliations can derive benefits from the Certified Scrum Developer Training in Pune. Helping professionals grasp and understand Scrum principles, this course majorly assists architects, IT professionals, QA testers, business analysts, developers, engineers and even project managers. While all of them can enrol for this course, non CSM credential holders can also pursue this course after acquiring the CSM Credential. However, basic programming development knowledge is mandatory to register and complete this course. What is the course all about? The CSD training in Pune is conducted over a period of five days. In the first two days, the learners are taught about the Scrum framework, roles, principles and ceremonies and the ways of working in a Scrum environment. The next three days covers the Technical Track training of the certification. Theory and practical sessions are held on these three days which gives an insight on actual design and code samples. The CSD certification in Pune will be conducted by certified experts in this field, discussing Scrum technical concepts. 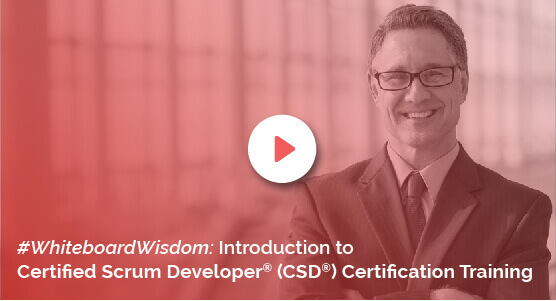 The last three days are mandatory for CSM (Certified Scrum Master) candidates while non-CSM certified candidates have to undergo the training for all the five days. Benefits of the course: Aspirants will benefit from a thorough understanding of Scrum principles and fundamentals. Alongside making the most of practical experience working with Scrum tools, this course throws light on support collaboration and pair programming. Enabling professionals create software with the help of object-oriented Scrum techniques; this comprehensive course provides knowledge of the best practices for the creation of quality software. The KnowledgeHut Way: The best part of the CSD course in Pune from KnowledgeHut is that it has the convenience of examination fee being included in the course fee, eventually resulting in a nominal course cost. With the best tutor groups, this course can certainly change the career paths of aspirants in more ways than one.